Imagine you just got to the gym. You first go drop your belongings in the locker room then head to the treadmill to warmup. While on your way to the treadmill, you swing by the sanitizing wipe station to grab a few wipes to clear the sweat and grime from the machine. But wait, the bin is empty! Now the real workout begins of debating whether or not to seek out sanitizing wipes or just deal with the grime. This may or may not have happened several times to me, especially at one of my work gyms. Now you don't have to be in this situation anymore because you can make your own sanitizing wipes to use during or after a workout - think of how grimy your hands might be before grabbing your post workout snack. 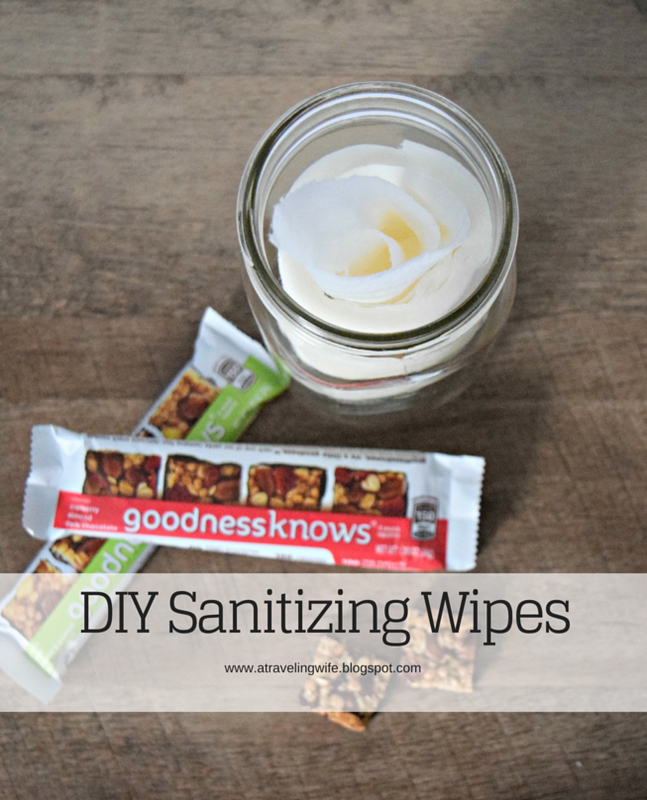 As a matter of fact, these DIY sanitizing wipes are great to keep in your purse or car too. They can also be customized to whichever scent you like best and add an oil to help moisturize hands. You will want to give these a try. There are very few items needed to create these DIY sanitizing wipes. First, you need a container that will hold a paper towel roll. I used a wide mouth mason jar because I like how it looks sitting on my countertop. The roll can be cut in half to better fit into your container - that's what I did. And you will also need rubbing alcohol (higher than 70%), essential oil(s) of your choice, and baby oil or coconut oil. 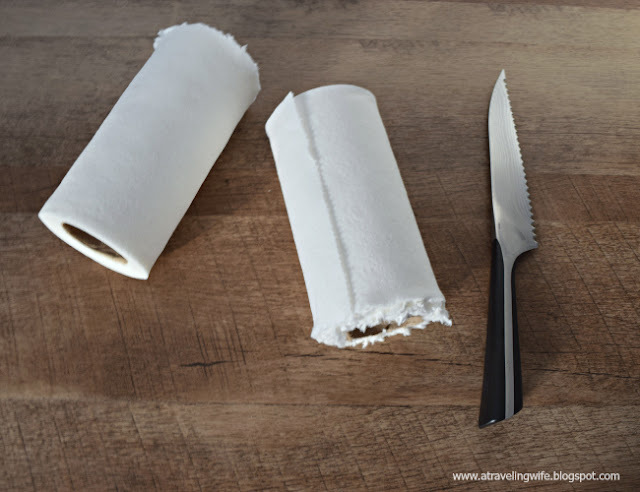 If you need to cut your paper towel roll in half to fit into your container, it is best to use a serrated knife. It will leave one side slightly unfinished but that will just be placed in the bottom of your container - no one will even know. Now you can measure the remainder of your ingredients. 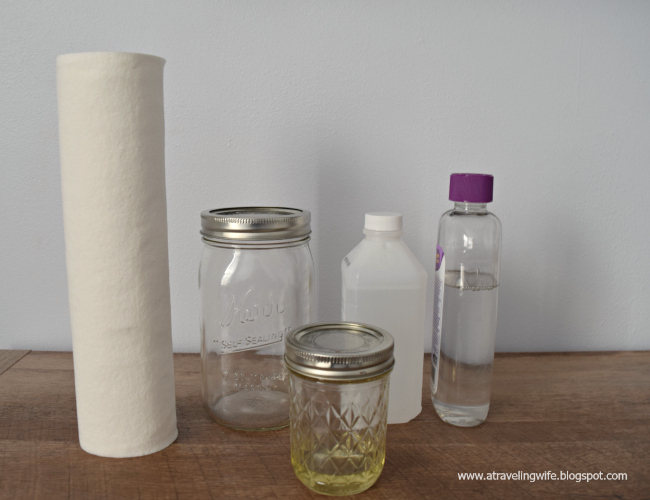 Depending on how absorbent your paper towel is will determine how much rubbing alcohol you will need to add. For this particular jar, I used 1 cup of 99% rubbing alcohol. It will smell strong but the great thing about rubbing alcohol, besides how well it sanitizes, is that it drys extremely quickly. On top of the rubbing alcohol, I added peppermint and lavender essential oil (40 drops each). I also added 40 drops of baby oil to this batch so it would help moisturize my hands. You can also opt for coconut oil, melted, if you choose. 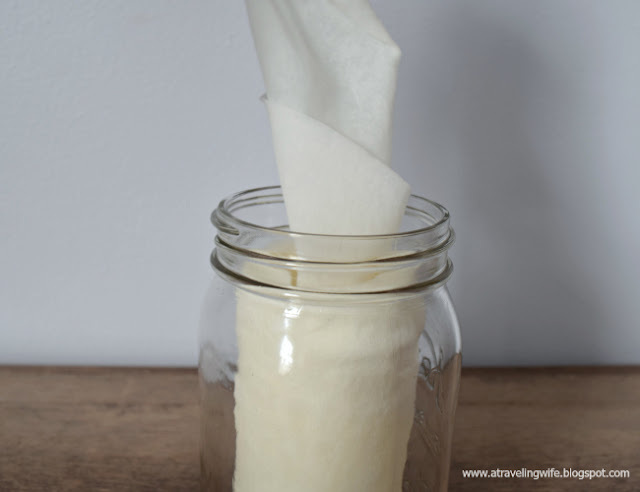 Click to tweet: DIY sanitizing wipes - perfect for the gym. 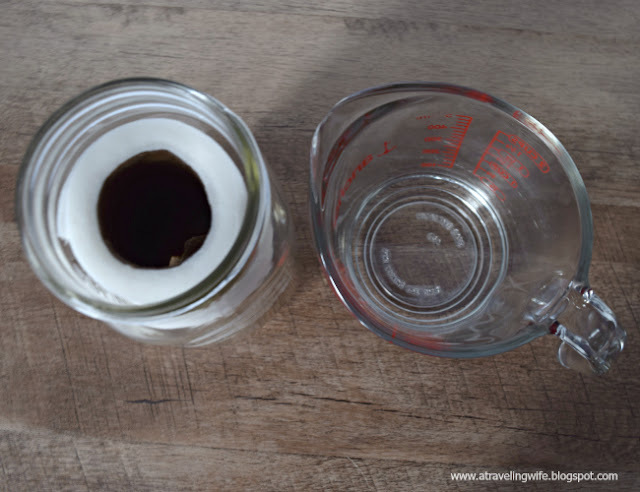 Once all of the liquid ingredients are mixed, poor them directed into the mason jar, or container. Allow the liquid to absorb into the paper towel and cardboard center. After a few minutes, you should be able to easily pull out the cardboard center. Now your DIY sanitizing wipes are ready to use. 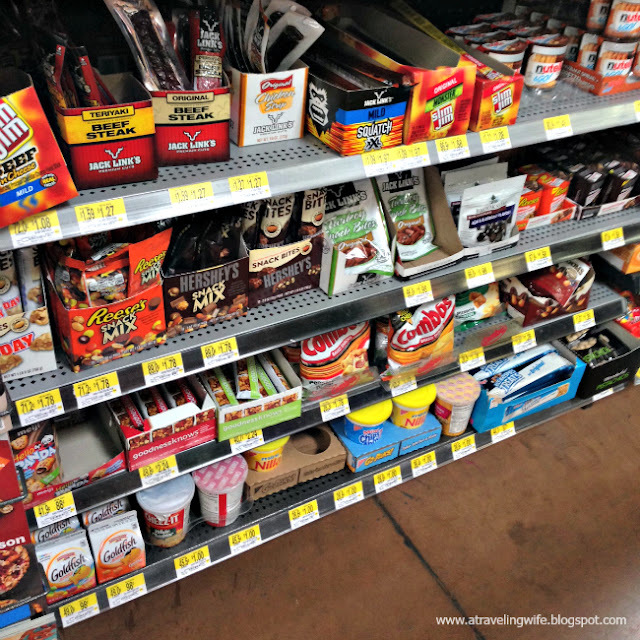 Alright, now that you have some fabulous sanitizing wipes and you got your workout in, it's time for a little snack. 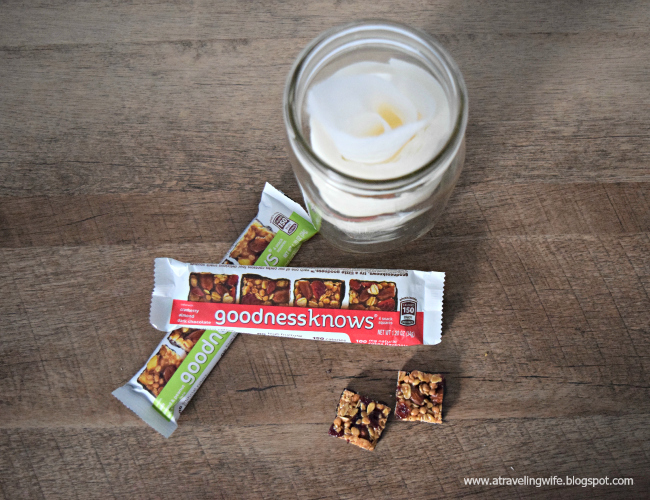 A delightfully delicious post workout snack that I have been reaching for are the goodnessknows® snack squares - goodness is greatness. They are chewy, savory, sweet and filling. Click to tweet: Goodness is greatness. goodnessknows® snack squares are made of real fruit, whole nuts, and dark chocolate (my favorite) and can be found at the checkout lanes at Walmart. While you are shopping for the materials to make the DIY sanitizing wipes, you can pick up one of three flavors - Cranberry, Almond, Dark Chocolate | Apple, Almond & Peanut, Dark Chocolate | or Peach & Cherry, Almond, Dark Chocolate. Since we are talking about fitness, why not share your goodnessknows® photo or quote for a chance to win a variety of fitness prizes. 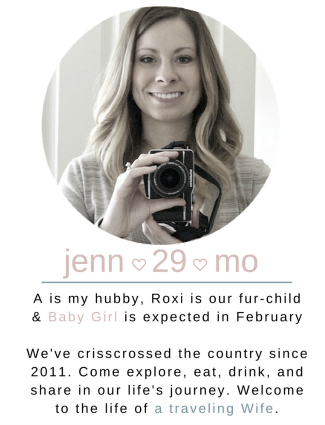 See all details below. 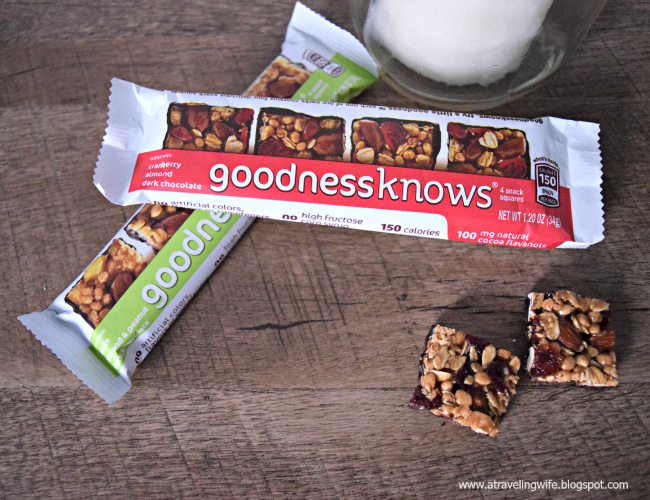 Here is a coupon for your next goodnessknows® square snacks purchase. Do you rely on the gym's sanitizing wipes?